Super heroes have a special place in every child’s heart – no matter what their age is. And secretly – at some point in our lives – we’ve probably all wished we could fly! Even though the super hero craze hasn’t hit my boys too hard surprisingly they still love the implications that they too are super heroes! We put together these simple super hero lunch box notes for you guys featuring both girls and boys! Just print them out on card stock and slip them in your child’s lunch box or leave it on your student’s desk to find when they come in in the morning! 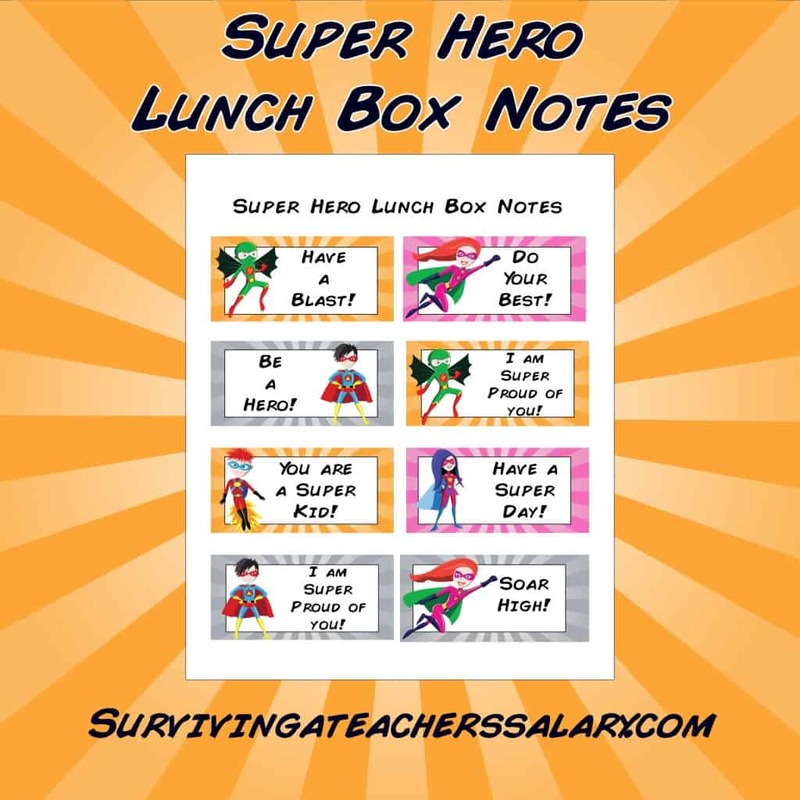 Loved these super hero printable lunch box notes? Check out our Penguin Valentine’s Day Cards, Monster Valentine’s Day Lunch Box Notes with Math Game & Back to School Lunch Box Notes!